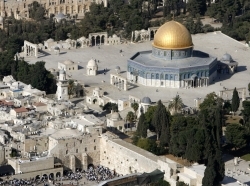 Moving the U.S. Embassy from Tel Aviv to Jerusalem would antagonize partners in the Islamic world who are key to fighting ISIS and other extremists. And any potential cooperation that might have developed between Israel and Arab states over common concerns about Iran could suffer. 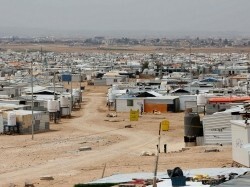 The vast majority of Syrian refugees live in urban areas, not camps. What can be done to improve the coordination of international and national entities managing the refugee response in urban areas in Jordan and Lebanon? 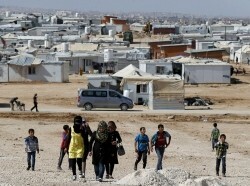 More than 700,000 Syrian refugee children are not receiving formal education. Host countries are struggling to create enough spaces to accommodate them in schools, and there are no formal programs to teach children who have missed years of instruction. Only half of Syrian refugee children have access to education, with nearly 700,000 not attending any formal education in Turkey, Lebanon, and Jordan. Classes are overcrowded and teachers are inexperienced in handling classroom conditions that include traumatized students, some of whom have missed years of school. Only half of Syrian refugee children have access to education, with nearly 700,000 not receiving any formal instruction in Turkey, Lebanon, and Jordan. Classes are overcrowded and teachers are inexperienced in handling classroom conditions that include traumatized students, some of whom have missed years of school. Young Syrian refugees are brimming with potential, but lack the educational and livelihood pathways through which to channel their energy and aspirations. As the international community looks for ways to end the violence in the region, it must not overlook the plight or the potential of these children.